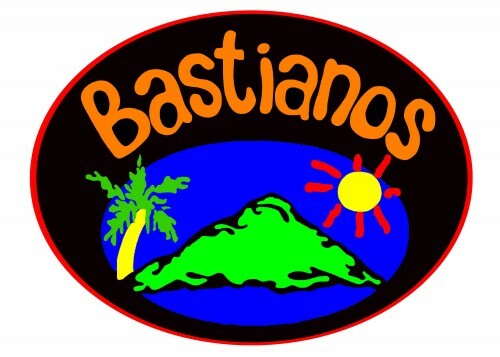 We are a PADI Dive Centre based in Bintan Agro Beach Resort. 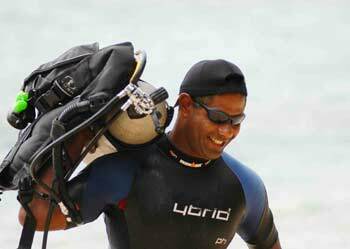 We provide scuba diving courses as well as expeditions to the best dive sites in Bintan and Mapur. 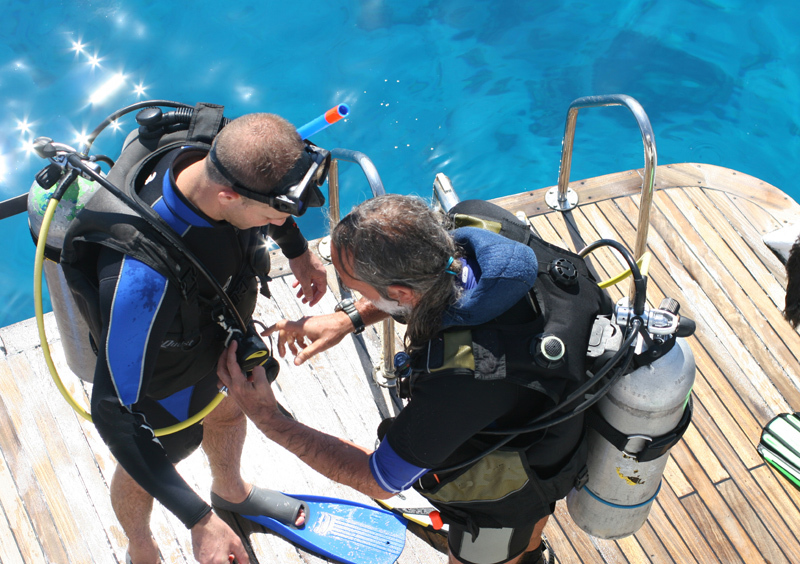 We believe that diving should be safe, fun and accessible to just about anyone. Sail Ningaloo offers live-aboard and day tour options scuba diving and snorkeling the NIngaloo Reef. Come aboard our luxury sailing catamaran to explore the very best of the Ningaloo Reef. Sail Ningaloo access more of the Ningaloo Reef than any other operator and has a wealth of dive sites including wreck dives, wall dives and drift dives. Out tours are focused on small groups with a maximum of 8 divers only. See Manta Rays, Reef Sharks, Turtles and 100\’s of reef fish and corals. Manta Lodge & Scuba Centre 5 Star Full Service PADI Dive Resort. Located on North Stradbroke Island which is a pristine, secluded island paradise – a hidden treasure only one hour from central Brisbane. Opened in 1992, Manta Lodge and Scuba Centre is the island’s only PADI dive centre. Located right on the beach at beautiful Point Lookout, we run a full service 5 Star PADI dive resort offering daily scuba dive and snorkel trips, all levels of scuba courses and quality backpacker beachfront accommodation. Stradbroke Island Scuba Centre offers a full service dive facility, right from the beach at Point Lookout. Boat dives run daily to some of the best sites South-East Queensland has to offer. Or if you haven’t been diving in a while you keen to get back in the water you can do a Refresher Course. SHAG ROCK which has coral gardens, sunken reef, swim through. FLAT ROCK which has the nursery, shark alley, the bowl, turtle caves, big bay. THE GROUP contains Manta bommie, boat rock. Blue Horizon has 3 liveaboards at the moment from basic to deluxe standard of vessels. With more than 20 years of experience, Blue Horizon Team can arrange your dive holidays to the areas where the action is. Maldives is 99% sea and 1% land archipilago consisting of 1’190 islands and with Blue Horizon team you get to see and Enjoy more of the Maldives. Come and enjoy rush of adrenalin in comfort and great atmosphere. Blue Horizon, Maldives Islands.1st Floor, H. Light Grey, Male’. (near UN Building). The end of May generally sees the change of monsoon season from southwest. The diving on the west side of the atoll in the southwest season is spectacular. You will regularly encounter large schools of pelagic fish like sharks, eagle rays and tuna. Another noticeable feature of the southwest season is that the water temperature is usually one or two degrees lower that the usual 28º C (82ºF). This has an effect on both the behaviour and sightings of marine life, particularly the grey reef sharks and hammerheads , which seem to congregate in larger numbers and in shallower water at this time of year. From November onwards the currents begin to flow from the northeast, visibility is superb and there is lots of action in the channels and thilas on the eastern side of the atolls from the sharks and other pelagic species. Currents tend to be stronger in January and then ease as we move into February. From February the waters calm down and the surface of the sea is undisturbed by any major wind or wave action. The doldrums continue through March and April with easy diving and slack currents. Throughout the northeast season, pelagic species such as shark and jacks are to be found on the current points on the eastern side of the atoll. In addition, there is usually a cornucopia of reef life. Manta rays and whale sharks, however, will only really be found on the west side during the northeast season. Did you know that Santa Clause is actually a diver? After giving gifts to children during christmas season he will return to his full time work in diving. 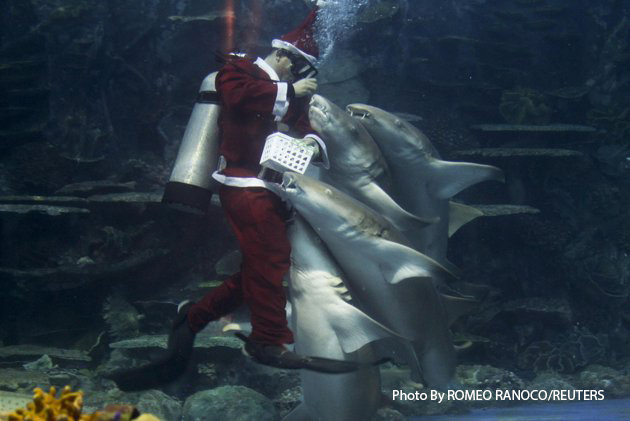 Joking aside but in Philippines, a professional diver wears a santa clause suit while feeding the fishes in a giant aquarium as part of Christmas celebration in Manila Ocean Park. The Philippines, a mainly Roman Catholic country in Southeast Asia, prepares for Christmas early – shopping malls play Christmas carols in September and lanterns and fireworks are put up in early December. 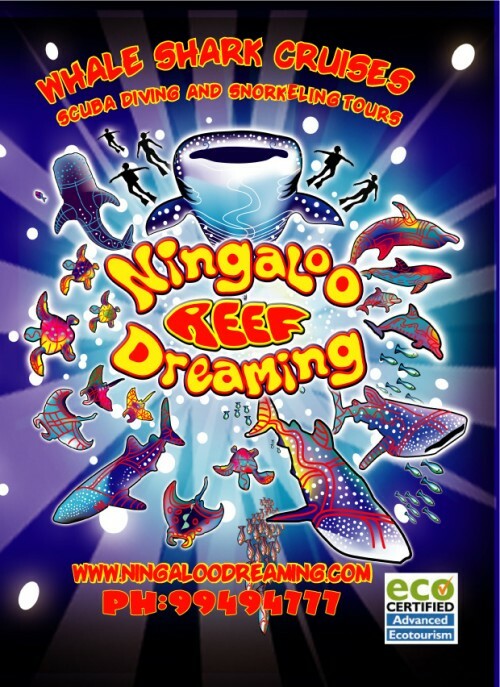 Ningaloo Reef Dreaming is all about diving, snorkelling and cruising the way it ought to be – fun, safe, professional and wonderful! We love doing what we do, and we would love to share the wonders of the Ningaloo with you! The NAVY PIER, If you have ever been SCUBA diving, or ever wanted to try, you simply cannot miss this dive! Descend into one of Mother Nature’s own aquariums, with a truly stunning range of marine life, both HUGE! and small – giant cod, sharks, nudibranches, a massive range of fish, rays, moray eels, turtles, amazing soft corals and more! Dive the best sites the world famous Ningaloo Reef has to offer! Walls, caves, swim-throughs and stunning corals – with massive cod, giant moray eels, sharks, and a range of fish, turtles and dolphins to keep you company! Not far of shore we have the stunning internationally acclaimed Muiron islands, a group of deserted islands 16kms off the coast. Meet “Clive” the friendly giant cod, have manta rays swim acrobatics around you, explore coral caves, swim through huge schools of fish. Diving the Muirons is diving at its best! OK, here’s the important stuff. Getting the qualifications may at the time seem like the difficult part but frankly once you are qualified if you want to stay in the industry the work really will begin, getting a job is not easy. So many people do the training and then lose heart as they find there is no simple way to find the job and they don’t know how to move to the next stage. I know my Son took the best part of a year to get his job. He totally loves it. However, he saw various other people he trained with give up on the dream and return to normality back home after failing to land a job, they returned to ‘normal’ jobs, mortgages etc ,you know all the stuff you were trying to run away from when you spent a goodly sum of money to learn to dive. You have to approach it like any other job application, write a Resume (CV) and literally send that with a covering message to as many of these companies as you can. But, make sure you ask them if they have no roles available to recommend any other companies that may be looking, you see not all Scuba companies are listed with us and there are many more out there. But be sure you will be able to attend interviews, if you cannot do that your chances will be much lower. If you dream job is in Bali can you get to Bali? That’s it, it’s hard work and all you can do is work it and don’t give up. The Asia Dive Academy (ADA) Dive Management Associate (DMA) Program offers you an opportunity to discover the amazing underwater world and develop a lifetime career of intense adventure. We believe every individual has different abilities, capabilities, personalities and goals in life — and our DMA program offers a vast array of opportunities in career development. The DMA Program offers you an intensive on-the-job training from basic Open Water Diver course to Open Water Scuba Instructor course in conjunction with Dive Business Management training.